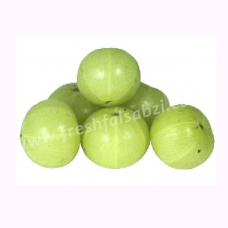 gooseberry is a tree that grows in India and the Middle East. Indian gooseberry has been used in Ayurvedic medicine for thousands of years. Today people still use the fruit of the tree to make medicine. Benefits : The health benefits of Indian Gooseberry, also known as Amla, can be partially attributed to its high vitamin-C content. Amla enhances food absorption, balances stomach acid, fortifies the liver, nourishes the brain and mental functioning, supports the heart, strengthens the lungs, regulates elimination of free radicals, enhances fertility, helps the urinary system, increases skin health, promotes healthier hair, acts as a body coolant, flushes out toxins, increases vitality, strengthens eyes, improves muscle tone and, acts as an antioxidant.